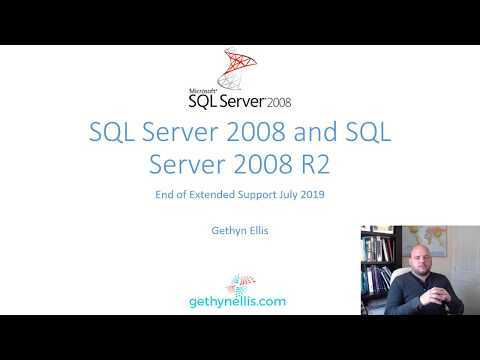 Welcome to gethynellis.com: SQL Server 2012 RTM–Are you waiting for SP1? SQL Server 2012 RTM–Are you waiting for SP1? As you probably know by now SQL Server 2012 was launched last week, Microsoft had an online launch event that was pretty spectacular but has also drawn some criticism following the event because the online platform initially struggled to cope with the load of 45,000 plus users. You can view the keynote and some of the sessions on the SQL Server launch website We also had a release to manufacturing (RTM) this week. SQL Server 2012 is available to download on MSDN and has been available on there since the 7th March. SQL Server 2012 is on general release from the 1st April. If you follow the SQL Server community on twitter, you will no doubt have seen a fair number number of SQL Server professional have downloaded and installed SQL Server 2012 RTM in their ‘sandpit’ or ‘test’ type environments. I have seen a few tweets over the weekend that suggest people have downloaded and installed the new version in their own time, probably on their own test kit. These are the people who are investing in their future and trying to keep ahead of the curve. Not everyone is a surfer though and not everyone likes to be in front of the wave, and not everyone, companies in particular, like to be on the bleeding edge. Many of my clients like their SQL Server platform to be stable, SQL Server 2005, SQL Server 2008 and SQ Server 2008 R2 are pretty stable and as such many of my clients have shown no interest in upgrading to SQL Server 2012 any time soon, they may plan to upgrade in twelve to eighteen months time but for now they are staying put. Some organisations might prefer to wait for perhaps the first service pack before they would consider upgrading their production systems to the new version, they are of the opinion that any early bugs or major bugs will be fixed with the Service Pack. They have a perception that the product will be more stable by the time the product has a service pack. I have other clients who want to use the new AlwaysOn features as soon as possible and are currently the process of planning to upgrade. Do people have solid plans in place to upgrade to SQL Server 2012? If so what is the time scale? I know organisations planning on doing this in the next few months and I have others who have a ‘policy’ that states they will be waiting until the first service pack before they would consider upgrading. I guess I’m just trying to get a feel for how many people are looking to put SQL Server 2012 in production now or later or more likely somewhere in between. No plans at SQLServerCentral right now. We have other work in progress and no time to test currently, but I suspect we will be like some of your clients. Somewhere in the 9-18month range we'll upgrade. Hi Steve, Thanks for taking the time to leave a comment. That does seem like the most popular time frame. Will SSC plan on using the new AlwaysOn features? We always wait until the first Service Pack. Small business here, We are setting up our 2012 test environment now.